US50 to SR262, Rt-Milton Bear Branch, Rt-Aberdeen, Rt-Bear Valley, Property on Left. Beautiful setting, sit out on the back deck and listen to the babbling creek with complete privacy. Home completely updated with new carpet, tile, doors, countertops & fixtures. Freshly painted and ready to move right in! 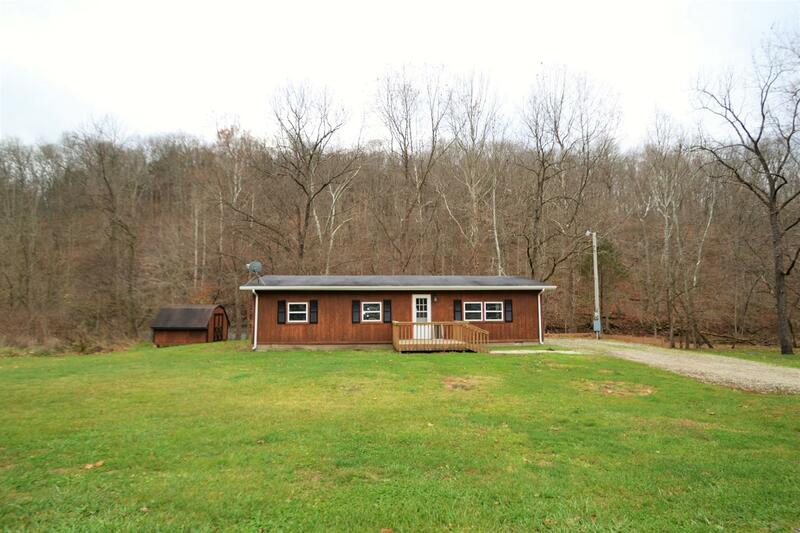 3 bedrooms, bath w/dbl sinks, lrg living room & separate laundry area, all on a little over 5 acres! NOTE: This property was sold on 5/6/2017 and is no longer available. The details listed below are believed accurate to the date of the sale and are subject to change.